Grace Elizabeth Jones, age 100 passed away Sunday, March 31, 2019 at her residence. She was born August 16, 1918 in Danville, VA to the late Henry Haywood Boisseau and the late Grace Day Boisseau. Mrs. Jones was married to the late John Edwin Jones. 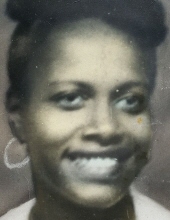 Mrs. Jones is survived by three daughters, Montez Crews of Danville, Greta Farmer of Danville and Gale Miller of Ashboro, NC; a son Edwin Jones of Danville. In addition to her parents and husband Mrs. Jones was predeceased by a son, Ernest Hodnett, Jr.
Norris Funeral Services, Inc. & Crematory, Mt. Hermon Chapel, 3995 Franklin Tpke., Danville, Va. is respectfully serving the Jones family. Online condolences may be made at www.norrisfuneral.com. To send flowers or a remembrance gift to the family of Grace Elizabeth Jones, please visit our Tribute Store. "Email Address" would like to share the life celebration of Grace Elizabeth Jones. Click on the "link" to go to share a favorite memory or leave a condolence message for the family.